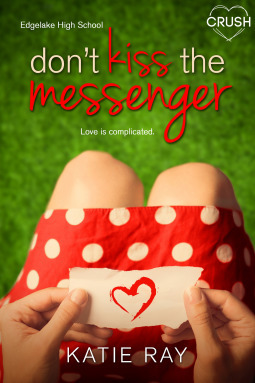 Don’t Kiss the Messenger is a gender-reversed, high school retelling of Cyrano de Bergerac. It’s a story about disguise, miscommunication, and hidden crushes. Often I find stories about deception frustrating because I am so impatient for the truth to be revealed, but in this book the use of modern technology to disguise flirtation is creatively thought out and well executed. I thought (and loved) that the book gave off vibes that reminisced the classic independent heroine and witty banter that is portrayed in the movie 10 Things I Hate About You. One of my favorite parts of Don’t Kiss the Messenger was the constant references to Shakespeare. You cannot go into a story focused on disguise and deception without Shakespeare’s works making an appearance. And every time Cece, the main character, quoted a Shakespeare play, I would get so excited. It’s not every day you read a character that appreciates the language of the Bard. Not only is Cece a Shakespeare fanatic, but she is also likable, sarcastic, confident, and fierce. Although she faces scrutiny every day from strangers who take pity on her or are awe-struck by the scars on her face, Cece keeps her head up high and tries to excel in every way she possibly can. She tries not to let her flaws define her, but it’s hard because she lives in a world that focuses on perfection as a defining factor. Cece has excellent taste in music, she’s fearless, and I love that she knows that sometimes a good cry is the best medicine. I also liked Emmett, Cece’s crush. Emmett is not set up as the perfect high school jock. He has a past that is heartbreaking, and a future that needs mending. Emmett might be clueless on a few things, but his interest in literature, music, and defending his friends makes him stand out. Cece and Emmett’s friendship and relationship is an emotional roller coaster. And even though they have their twists and turns, the chemistry between these two characters is electric. Their friendship is based on witticism, sarcasm, and laughs. I love how they feed off each other’s energy and their banter is so cute and hilarious. I rooted for them the entire book, even when the disguised messages were grating my last nerve, hahaha. Although stories that use disguises as a tricking mechanism sometimes frustrate me, the deceiving charade that takes place in Don’t Kiss the Messenger is heartwarming and swoony. Yes, I might have gotten annoyed at times, mainly because I wanted the truth leaked, but deception was perfectly set up as a steady beat throughout the pages and had me hooked to the very end. I highly recommend this book to fans of Shakespeare, literature nerds, music fiends, and anyone who appreciates a good love story.